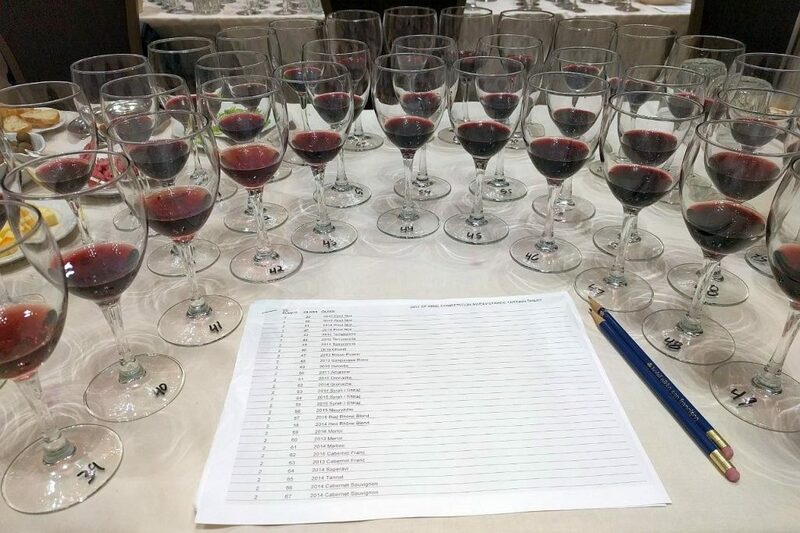 The largest and most influential international wine competition in America, the San Francisco International Wine Competition has been setting the standard for professional wine judging since its debut in 1980. Now in its 38th year, the SFIWC maintains the highest level of integrity with a blind-tasting system performed by a highly experienced panel of internationally acclaimed wine experts. A SFIWC medal has been established as a reliable indication of wine excellence, and wines recognized as medal-worthy by their judges are universally understood to be among the very best. 2011, 2012, and now the 2013 Syrah and the 2013 Cabernet Sauvignon! Three years in a row for our Estate Syrah! Our 2013 estate Syrah was aged in French Oak for 23 months and brings blackberry, plum, pepper and fall herbs to your senses. Its silky finish lingers with soft tannins and a touch of smoky oak. It has also won a silver medal in the 2017 Los Angeles International Wine Competition. Pairs with lamb burgers or a mixed berry trifle. Our 2013 estate Cabernet Sauvignon is robust, aromatic and complex. It exhibits black cherry and blackcurrant fruit with a touch of black pepper on the palate. It is a full-bodied wine with distinctive ripe black cherry and blackcurrant taste to your palate. We aged this vintage for 23 months in French oak barrels. Only 48 cases were produced. Enjoy this delicious wine with prime rib topped with horseradish or a chocolate souffle for dessert.